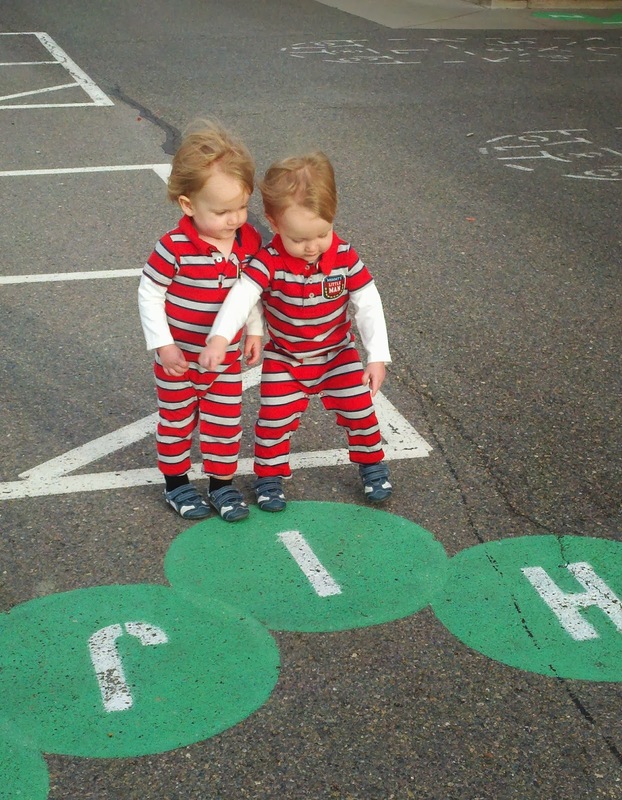 Ezra and Elliott are obsessed with practicing their letters. They spend most of the day forcing Nathan and I to write the alphabet on Magna-Doodles and run around the house singing various letters and their sounds. A couple of days ago, we walked to the local elementary school in order to play on the amazing (and fenced in) playground. 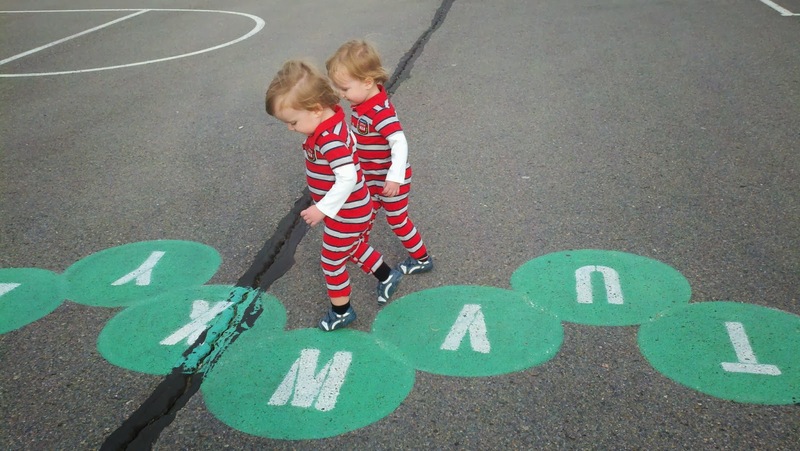 Behind the school, Ezra and Elliott discovered the Very Hungry Caterpillar with each letter of the alphabet written on its body. They were in heaven. 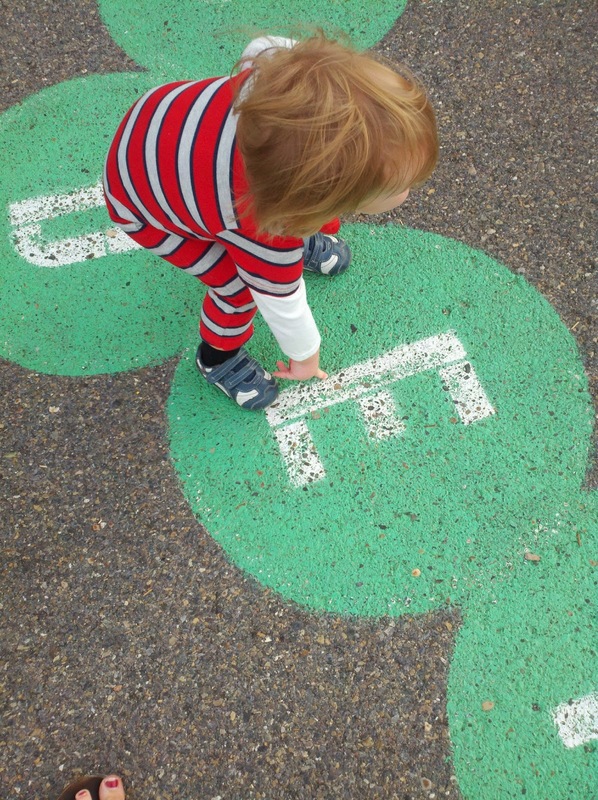 For nearly an hour, we reviewed the alphabet and they never wanted to leave. I would call out a letter, and they would run and find it. 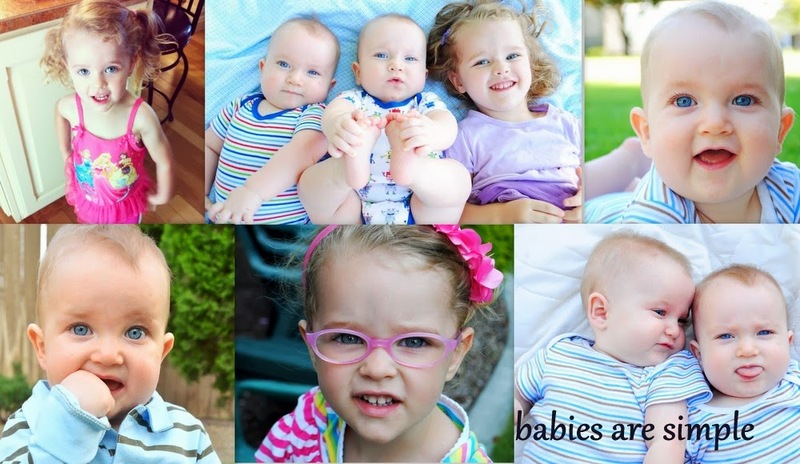 They may not be able to say many words, but they certainly know their alphabet! Of course, their favorite letter is "E."
That caterpillar is awesome!! 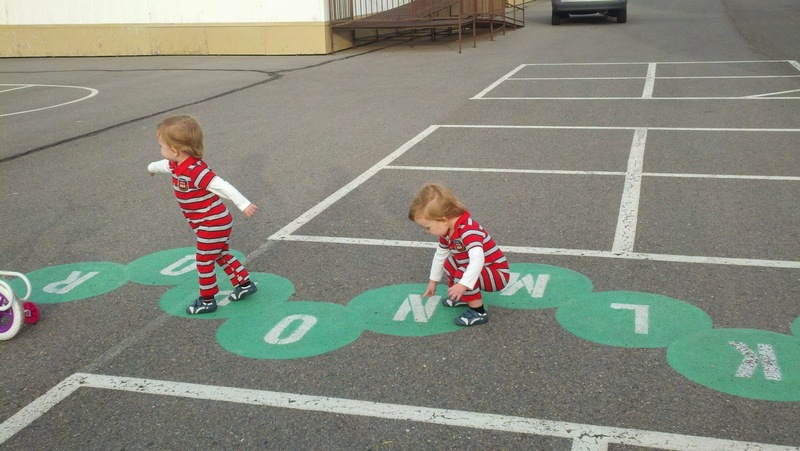 They are so cute with their letters. I love hearing them.